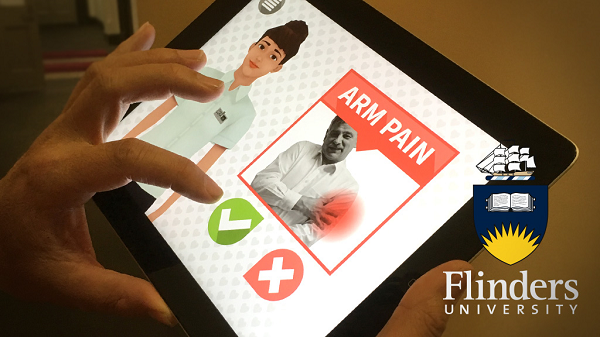 Dublin, Ireland – 9 June 2018: An avatar-based application (app) can teach patients to recognise symptoms of heart attack and call emergency, according to a study presented today at EuroHeartCare 2018, the European Society of Cardiology’s annual nursing congress.1 Patients using the app were more likely to call an ambulance when they had symptoms, and had fewer hospital admissions. The abstract ‘The effectiveness of an avatar-based education application on knowledge and response to heart attack symptoms-A pragmatic randomised trial in patients with acute coronary syndrome’ will be presented during the Oral abstract session – Doctoral Students which takes place on 9 June from 08:30 to 10:00 CEST in the Davis Theatre. Simple Avatar-based application for ImproVing ACS Education (the SAVE app). Results of the pilot study were presented during Acute Cardiovascular Care 2016, an ESC congress.